May 6, 2016 was Sauvignon Blanc Day. So what? Well it is worth celebrating the progress of this variety in New Zealand. Producers describe their wine using terms such as “pungently aromatic with undertones of red bell pepper, gooseberry, kiwifruit, passion fruit, tropical fruit overtones, cut grass, tomato stalks, grapefruit or limes.” Certainly it is the “explosive varietal that awoke the world to intense, expressive, fruit driven New Zealand wines” but is evolving now into something more. Latest stats show New Zealand with 35,463 hectares planted of which sauvignon blanc leads at 20,497 followed by pinot noir at 5,514, chardonnay is popular with three other emerging aromatics pinot gris 2422, riesling 767, and gewürztraminer 277. 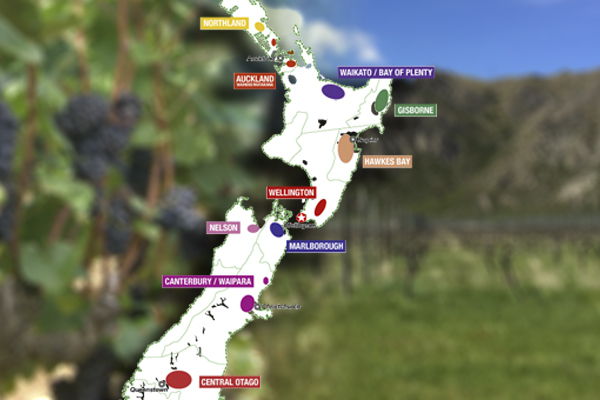 The South Island Marlborough is by far the largest sauvignon blanc region at 18,234 hectares followed way back at 907 by Hawke’s Bay on the North Island. There are now over 700 wineries with over 94% under sustainable programs with 90% of total production being exported. They proudly declare there are only 4.5 million people but 39 million sheep! Villa Maria Private Bin Lightly Sparkling 2015 – They claim using Charmat (like Prosecco) rather than methode champenoise (Champagne) helps preserve the lime fruit vitality of the variety. Only 5.2 sugar RS. Forrest The Doctors’ Marlborough 2015 (lower alcohol) – Experimentation and innovative vineyard practices result in a very drinkable modest 9.5 alcohol. High acid + 8.5 RS. A good emerging trend. Te Mania Nelson 2015 – Higher rainfall warm days cool nights in Nelson shows more richness from the clay soils & certified organic. Palliser Estate Martinborough 2015 – Excellent aromatics from the lees aging. Te Pa Marlborough 2015 – Grapefruit & lime zest with some tropical notes has refreshing finish. Rapaura Springs Reserve Marlborough 2015 – Use of “Reserve” name should be discouraged or better defined but here means extra time on the lees. Lovely intense passion fruit. Whitehaven Greg Marlborough (Awateere Valley) 2015 – Lower fermentation temperatures & less skin contact make for a crisp good acidity match for shellfish. Loveblock Marlborough (Awatere Valley) 2014 – Limestone soil helps lower the phH to 3.08 for balance. Ara Single Estate Marlborough (Waihopai Valley, Southern Valleys) 2015 – One site using both early & late picking. Villa Maria Reserve Marlborough (Southern Valleys) 2015 – Classic cool Marlborough fruit from driest vintage in Marlborough in 85 years. Tiki Estate Marlborough (Upper Wairau) 2015 – Use yeasts which enhance variety definition. Saint Clair Wairau Reserve Marlborough (Lower Wairau) 2015 – Parcel identified by winemaker blind tasting as best batch produced “Reserve”. Stoneleigh Wild Valley Marlborough (Wild Ferment) 2015 – 100% wild yeast & 10% in older oak. Delicious. 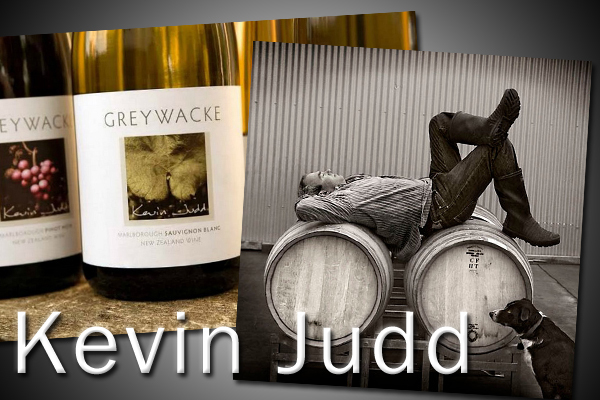 Greywacke Wild Marlborough 2013 – Kevin Judd of Cloudy Bay fame produces a complex wine. Stylish. Pegasus Bay Sauvignon Semillon Waipara Valley 2013 – Semillon in older French oak adds to this blend all 8 months sur lie. Te Mata Estate Cape Crest Hawke’s Bay 2014 – Unique 87% sauvignon blanc with 10% semillon & 3% sauvignon gris from mature 35 year old vineyards and 1/3 new oak impressive. Polished. Reminds me a bit of the outstanding Chateau Smith-Haut-Lafitte (with a similar grape mix) at a very reasonable price. Jules Taylor Late Harvest Marlborough 2015 – Picked mid-May. Sweeter 168 g/l RS with total acidity 8.24. The volume of New Zealand sauvignon blanc exports continues to increase and the future looks bright. 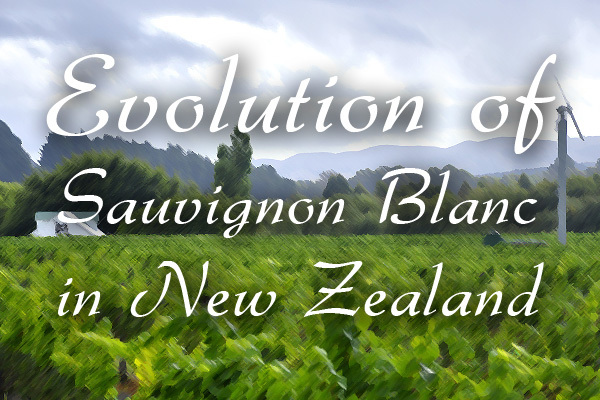 Do you like to drink sauvignon blanc from New Zealand?